Friday night we culminated our week of Prayer and Fasting with a great one hour prayer meeting and broke the fast together as a church with some delicious, homemade chicken noodle soup! On Saturday I went to a pretty cool wedding of a couple good friends, Brad Leach and Leah Edwards. It was a really exciting day – also had the chance to see some old college friends and the always loved Ron Bradley! 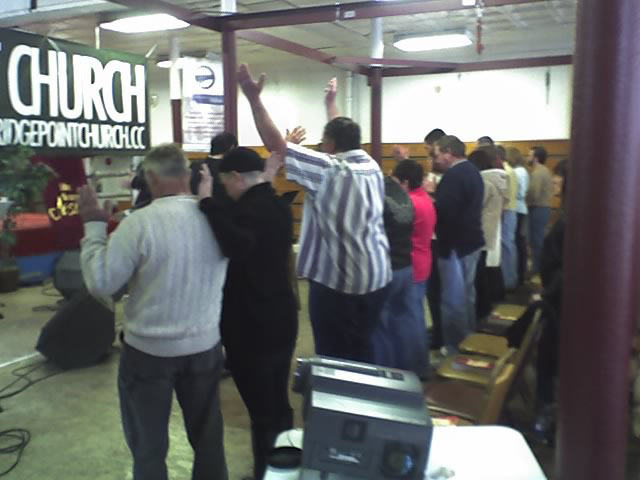 Today we had our fourth monthly service at BridgePoint Church in Tarentum. We had a powerful service with a great altar time at the end of the service! Only one more monthly service until we launch March 16 – can’t wait!! I just know God’s up to something in Tarentum!